If you just collect a ton of random data without any idea what you are collecting or why – you end up with piles of data that do little more than increase your risk of fines for privacy breaches. There is a lot of useful data that is not “big” that is going untapped in search of magic bigness. Christopher Mims wrote a great post a couple of weeks ago that pointed out that even Google and Facebook make little use of big data. He also pointed out some statistical facts about predictive modeling and the impact of data set size on false positives and the identification of misleading correlations. In general, relatively big data sets are useful for understanding macro trends in consumer behavior and are not particularly effective for predicting the behavior of an individual consumer during a transaction. Small, carefully curated data sets about customers are far more informative in supporting analytics on the micro (audience of one) scale. Do you really need another multi-year initiative right now? Before you worry about big data, consider initiating programs to take care of your “small data” and use it effectively. Welcome new customers with personalized information on how to use their specific account features. Recognize the loyalty of existing customers and the frequency with which they use your services and tailor loyalty offers to the customer’s specific region. 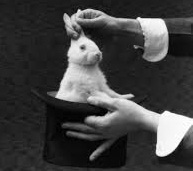 The wealth of information found in the transaction history of a typical customer bill or invoice can drive some pretty magical marketing without the need for any magicians.